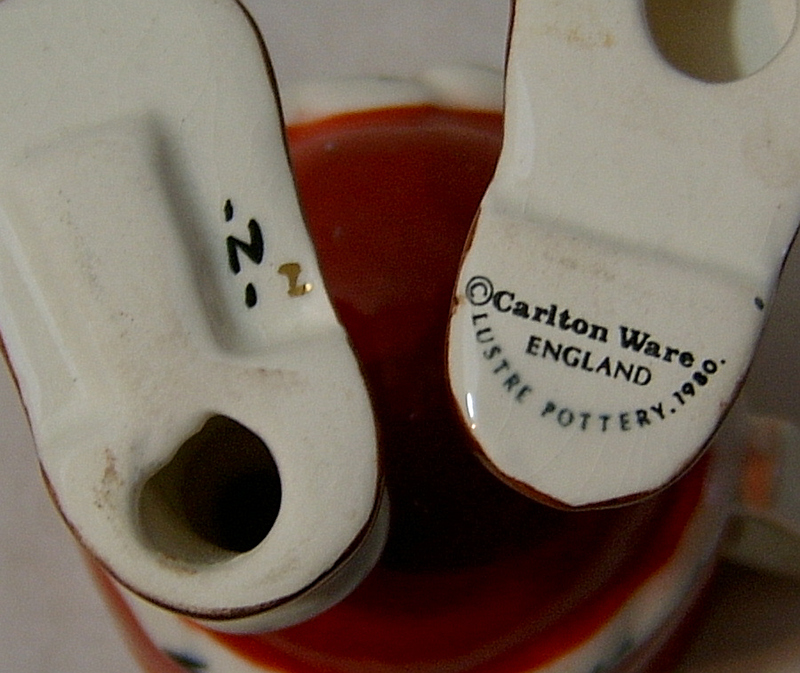 A chance to acquire one of the scarcer colourways in this series of Novelty Walking Ware items from Carlton Ware. 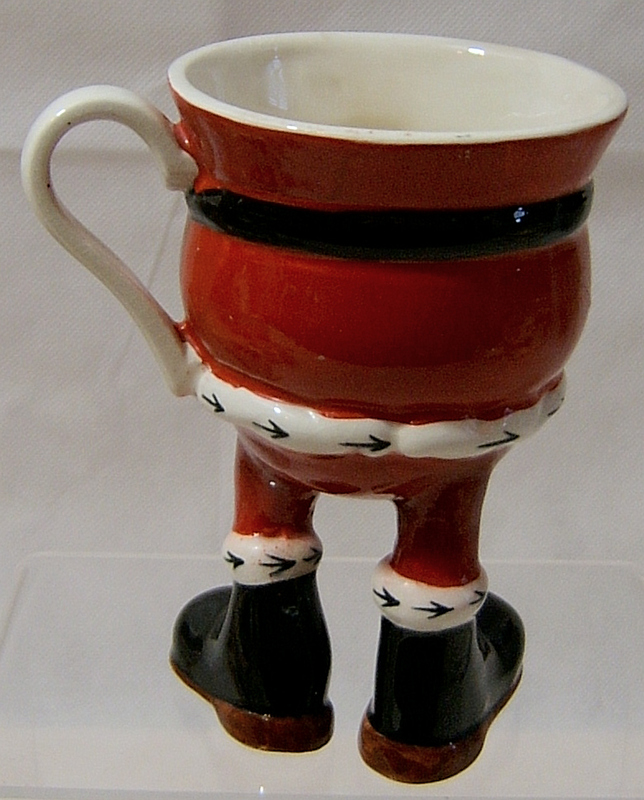 This is a Standing Cup , designed by Roger Michell (Lustre Pottery) and produced in the 1980s, this being dated 1980. It is, of course, Santa Claus produced in limited numbers and now very hard to find. 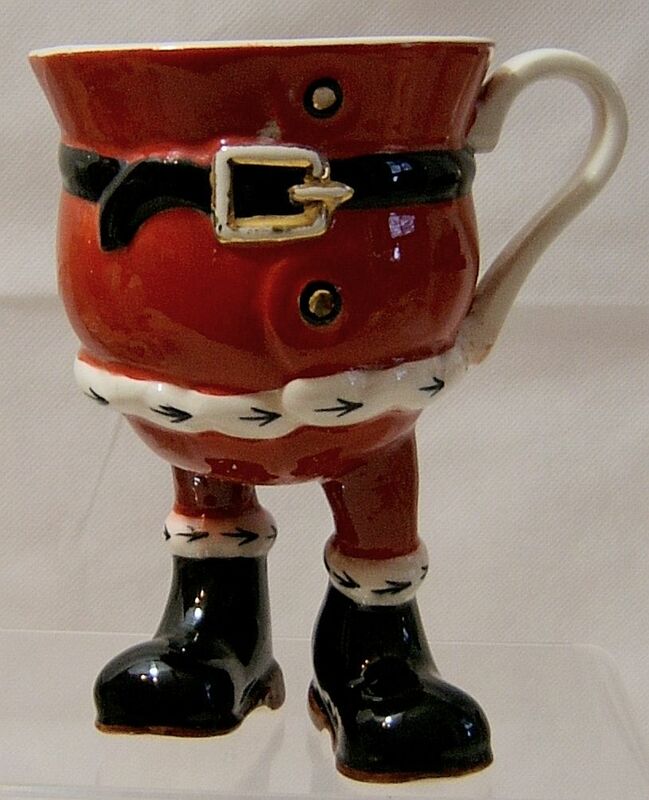 The Cup has the usual Christmas decorations as befits a Santa Claus, with a gold buckle for his black belt. It is in excellent condition, with just a slight trace of crazing. It stands 5 inches (12 cms) tall with a top diameter of 3.25 inches (8 cms). It is appropriately backstamped under one foot.